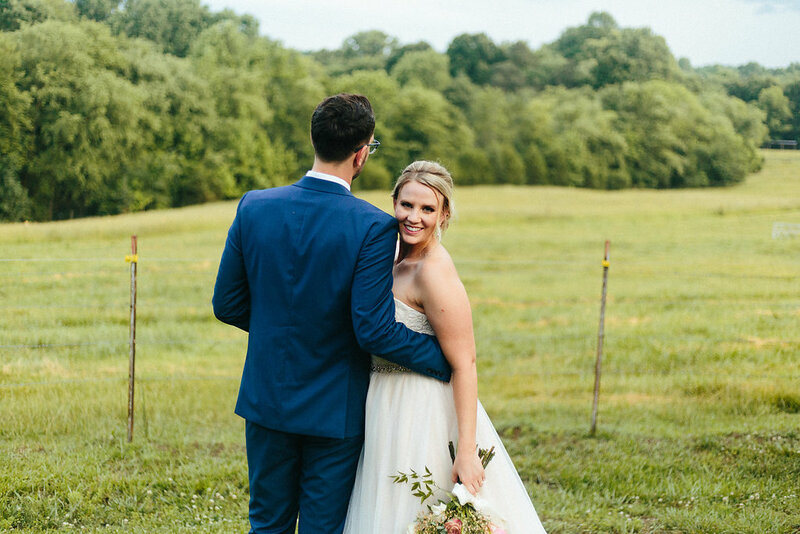 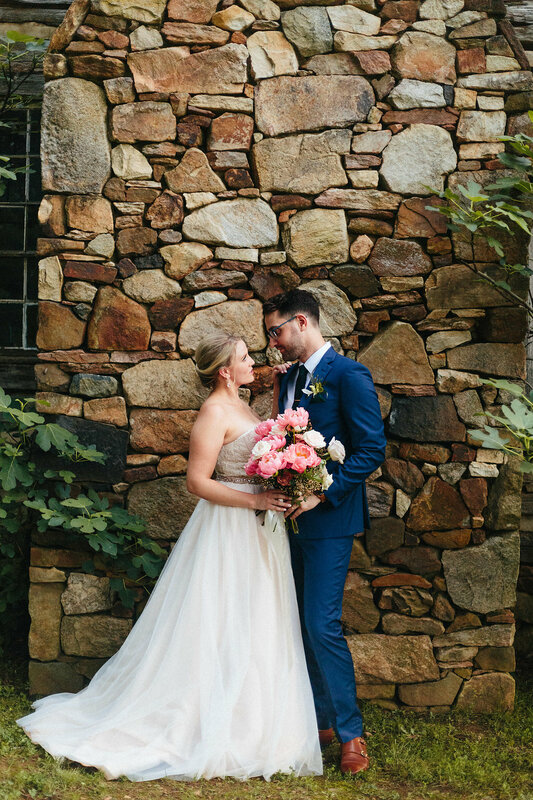 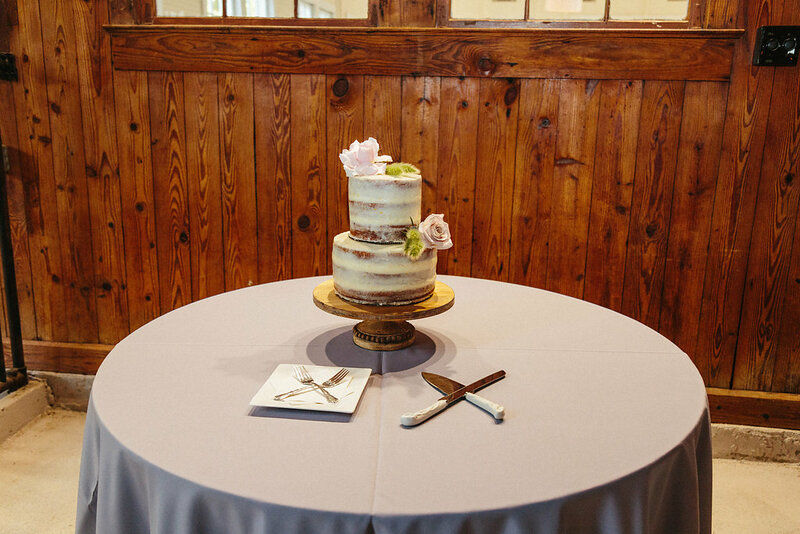 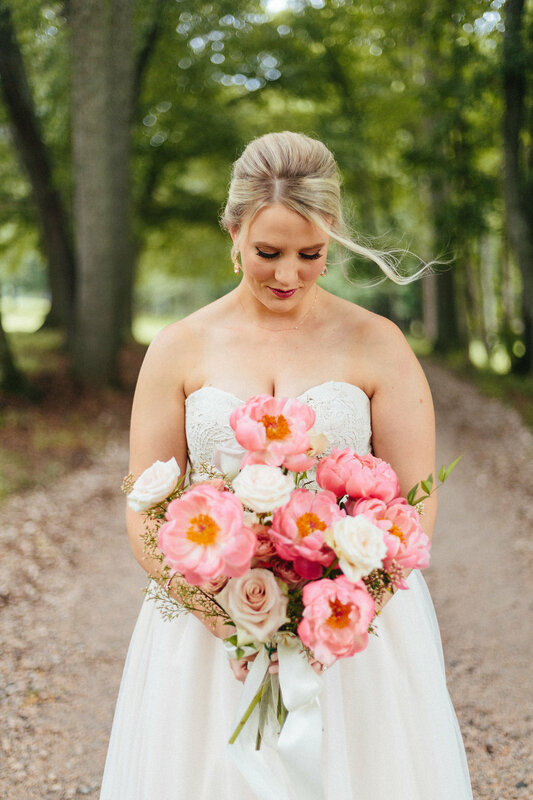 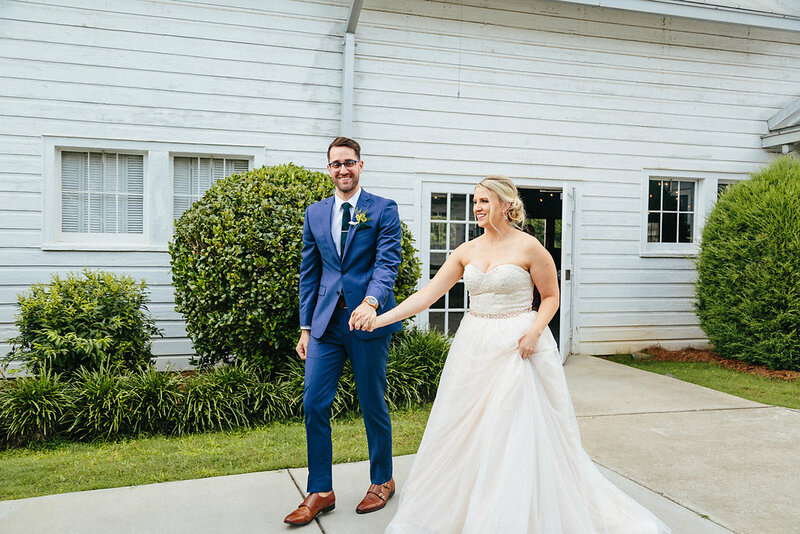 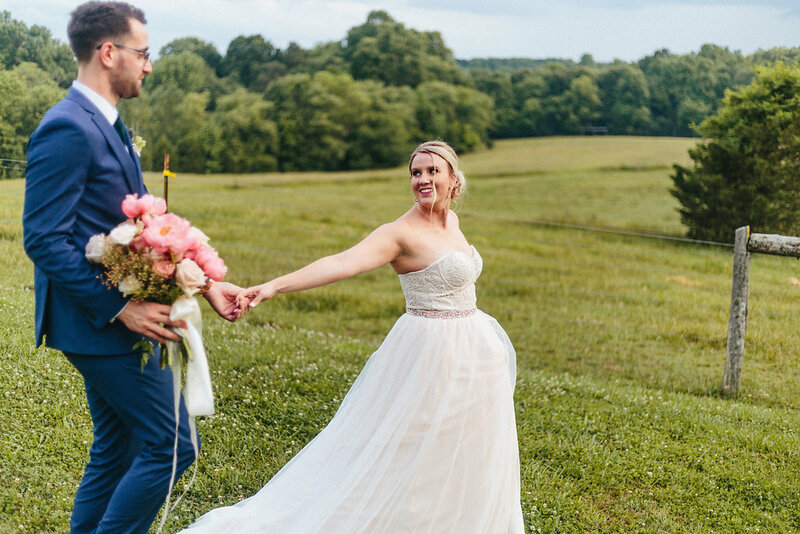 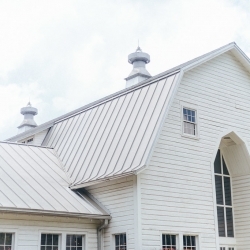 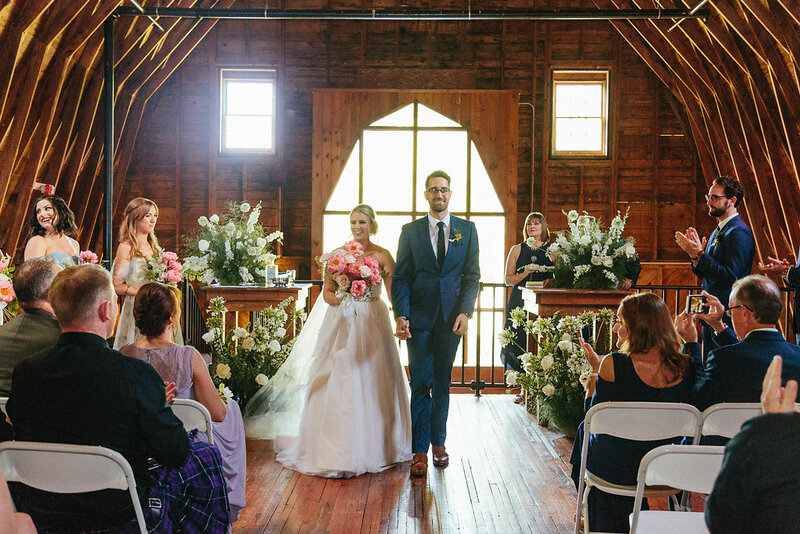 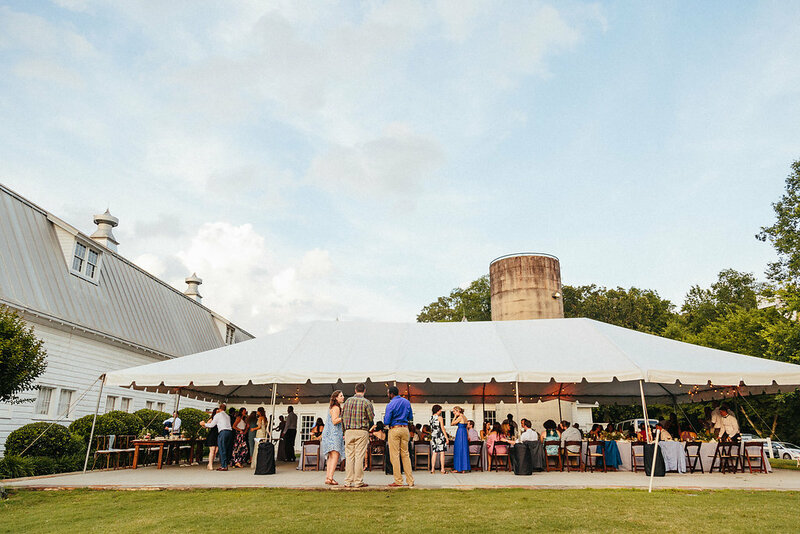 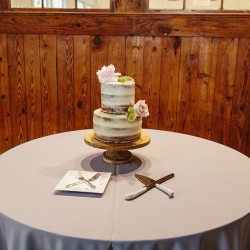 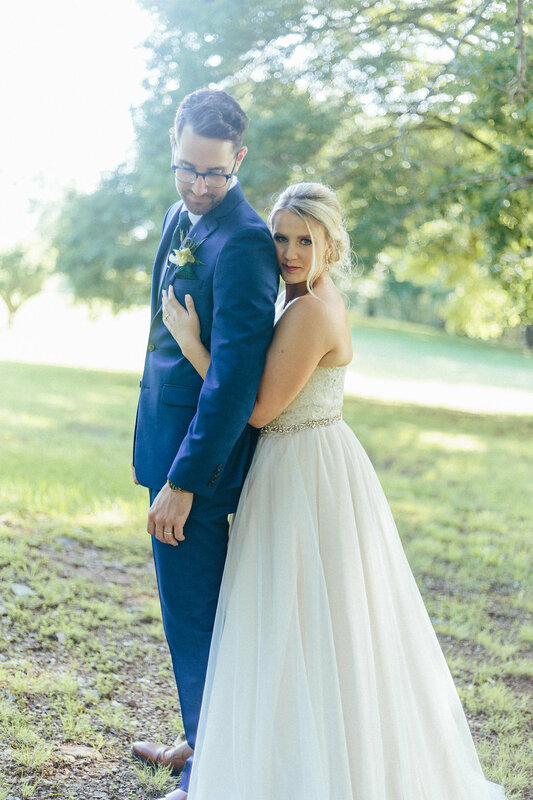 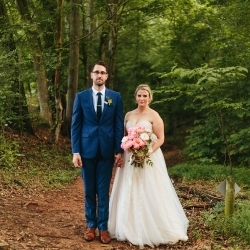 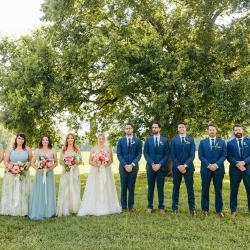 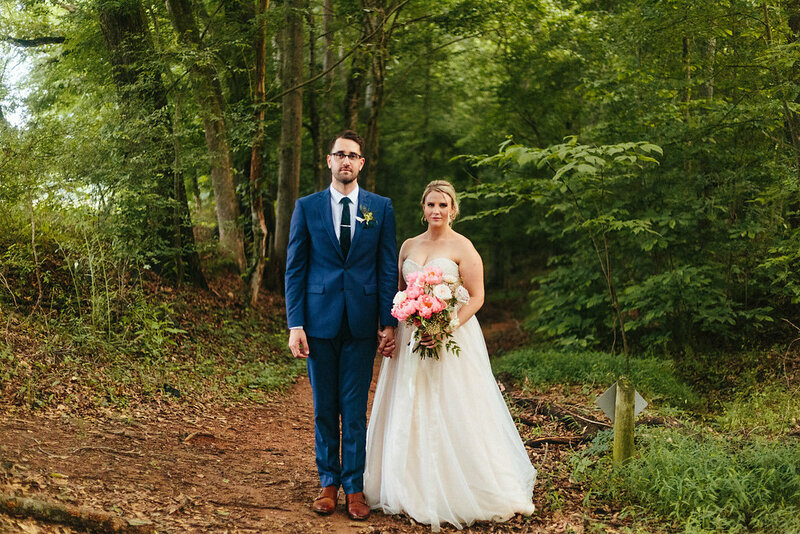 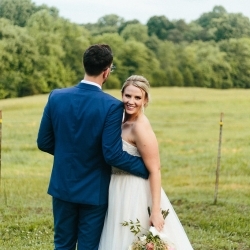 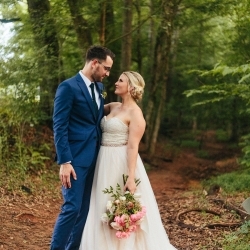 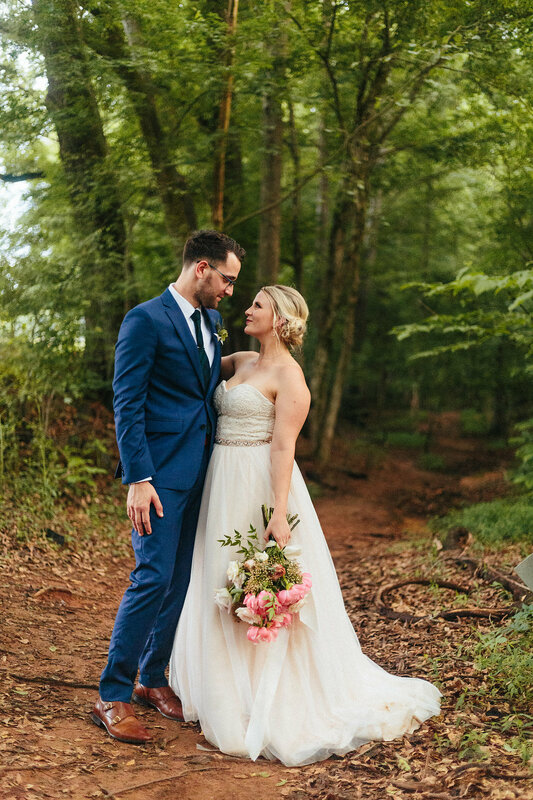 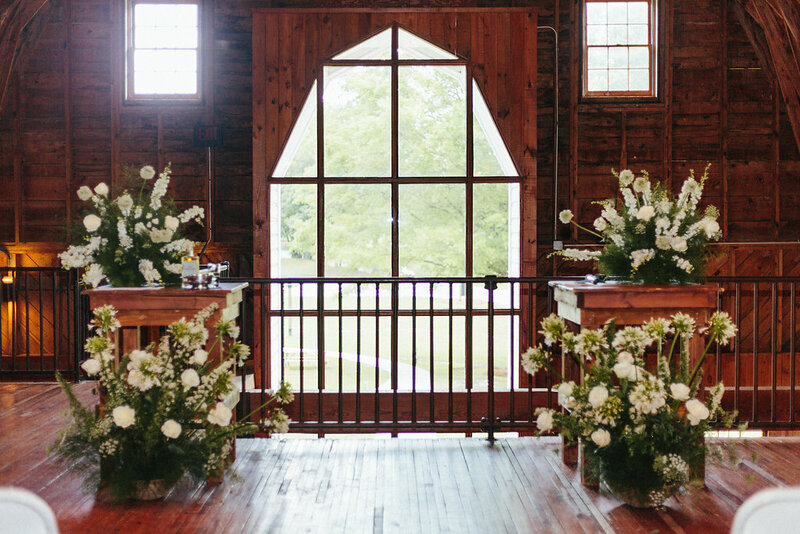 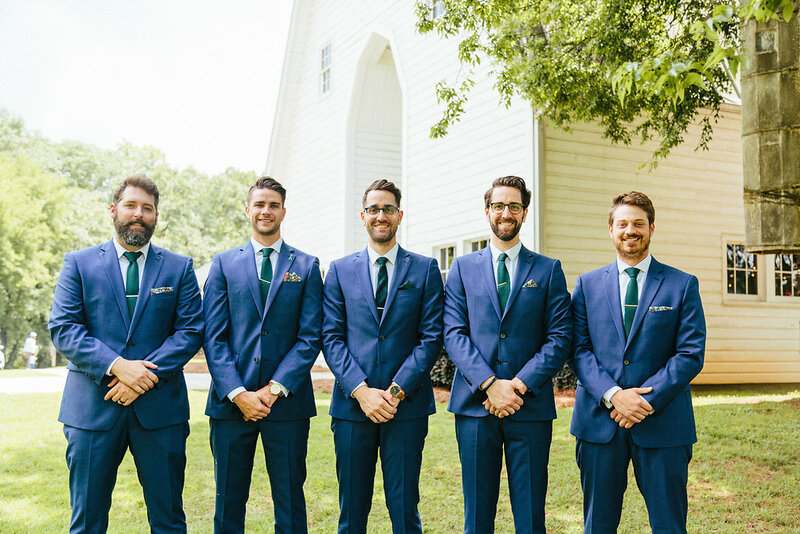 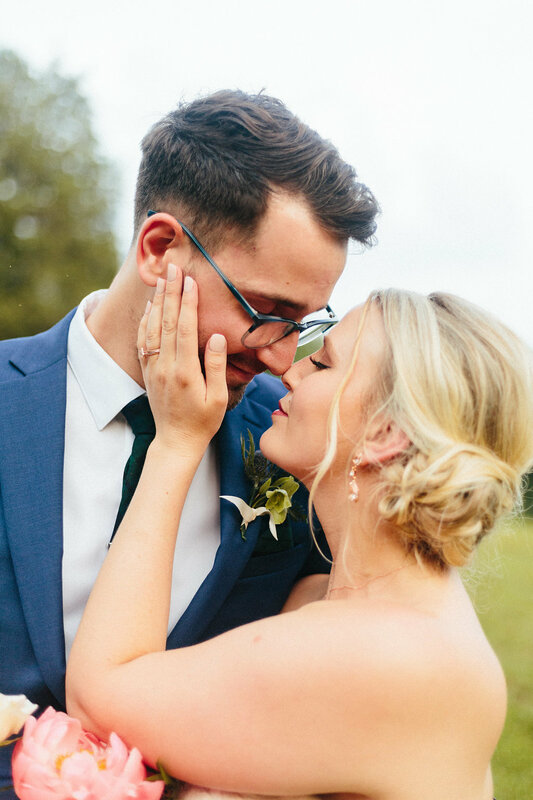 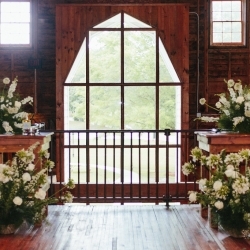 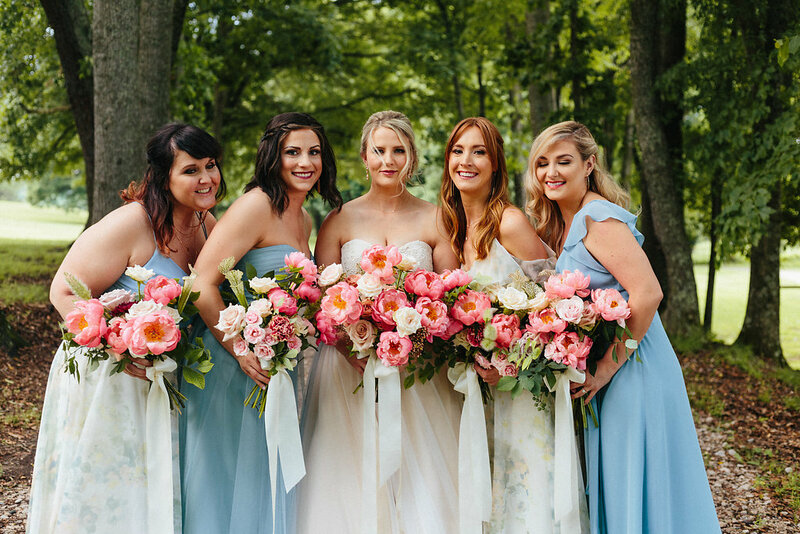 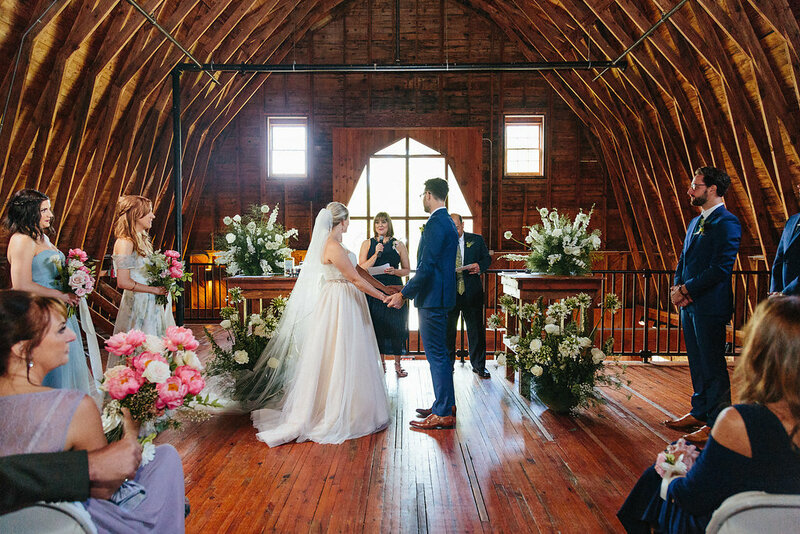 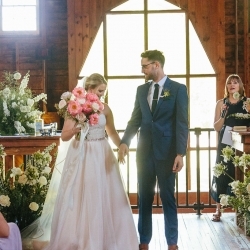 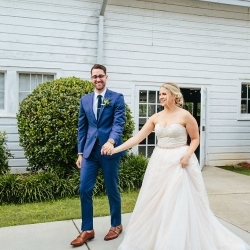 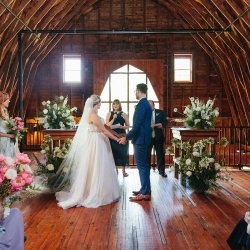 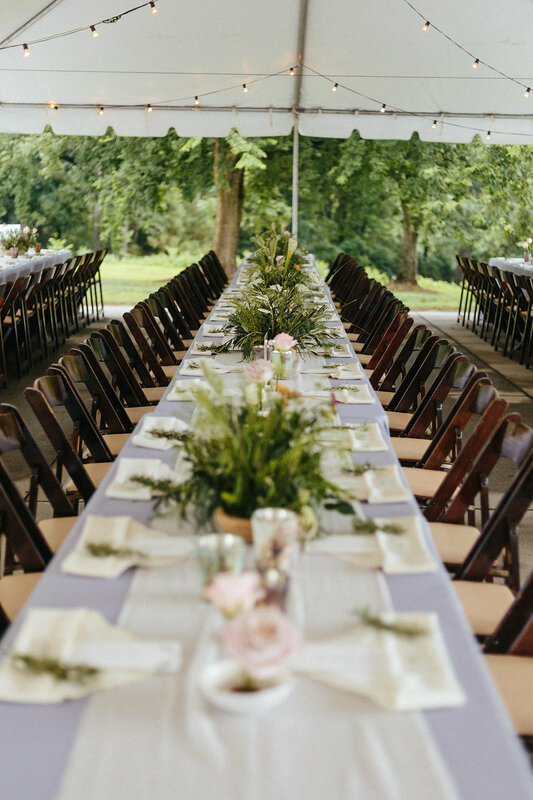 Lauren and Eric were married at the Dairy Barn on the Anne Springs Close Greenway in Fort Mill, South Carolina, just beyond the state lines of Charlotte, North Carolina in an organic style wedding. 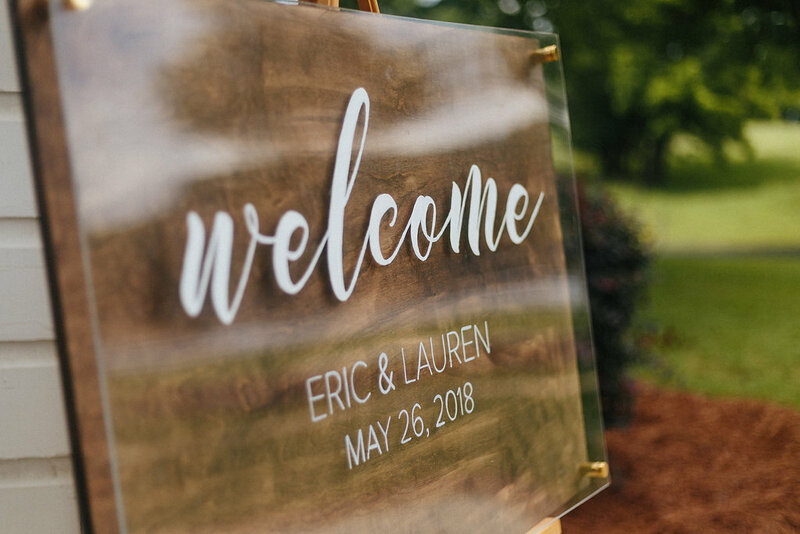 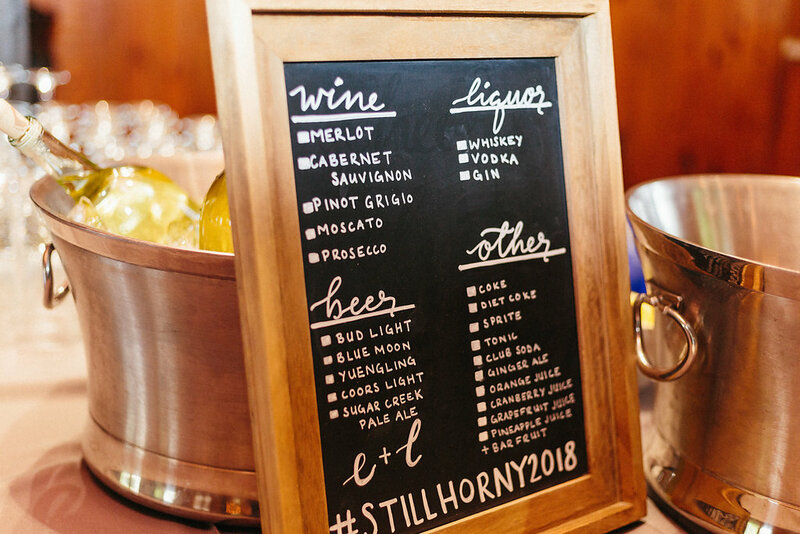 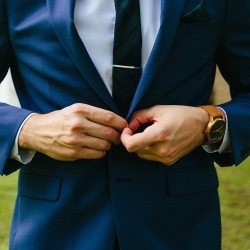 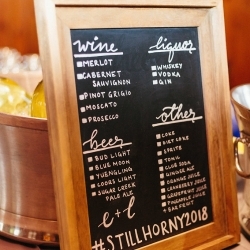 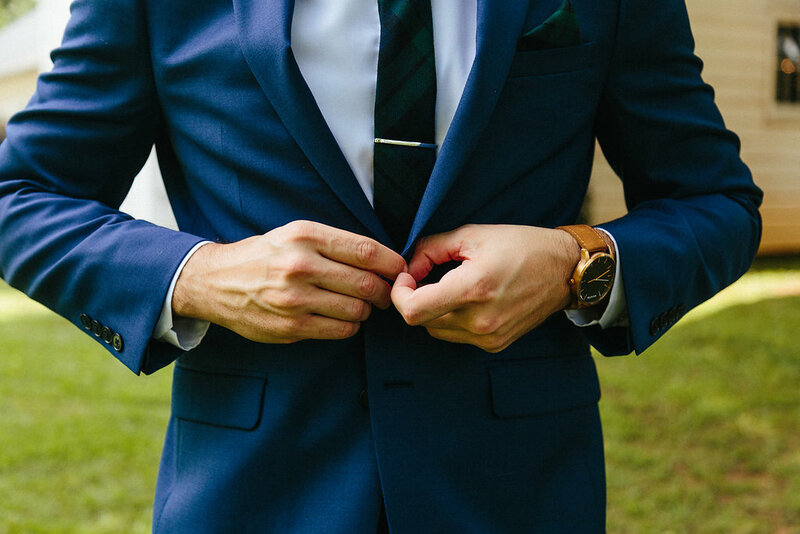 The wedding was a perfect reflection of Lauren’s style, and many guests mentioned this to me throughout the night! 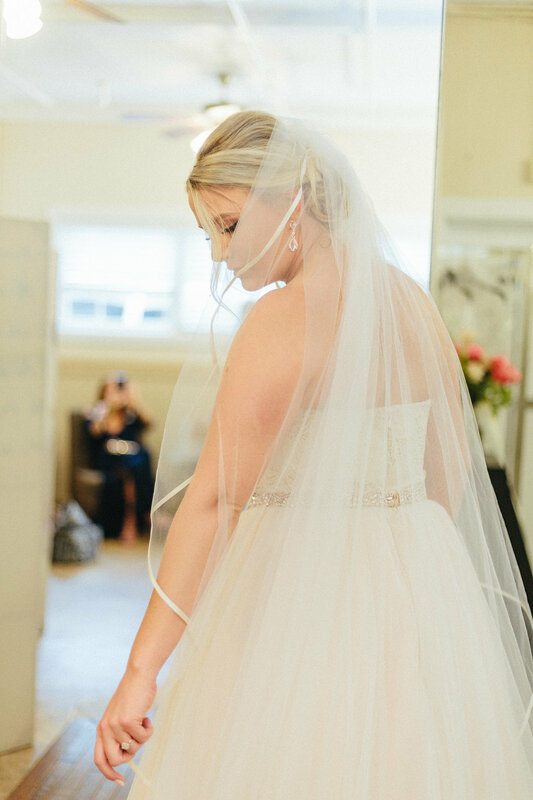 Lauren, that is a testament to you being true to yourself. 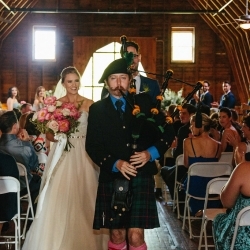 Lauren is from South Africa, and her parents are pure Scottish. 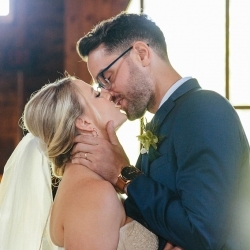 She lost her accent after moving away in high school to Chicago. 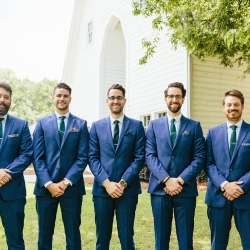 Eric is from Erie, PA and they met through his twin brother in college at Carthage College in Kenosha, WI. 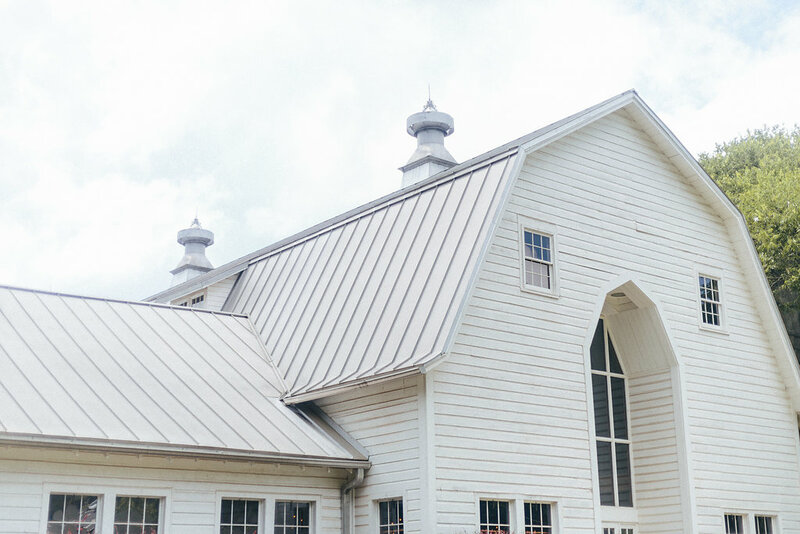 I actually used to live in Chicago and for a brief period lived in Gurnee, IL very near Kenosha. 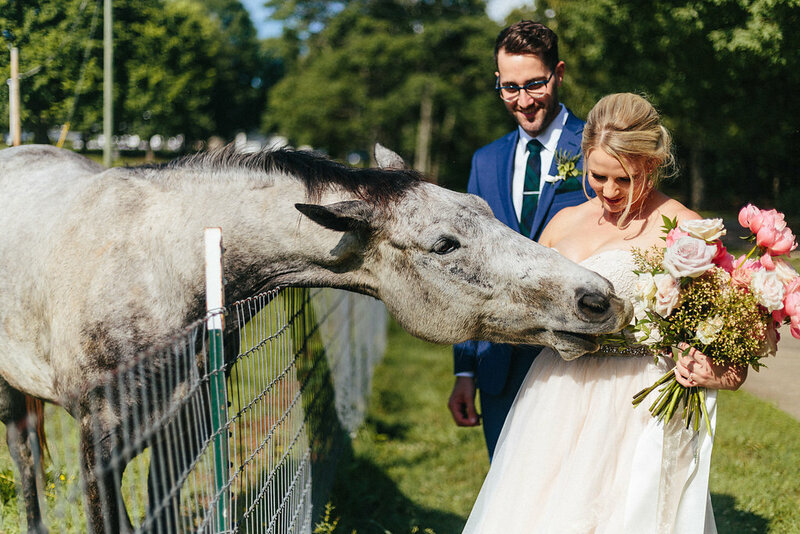 They have an adorable golden retriever named Max. 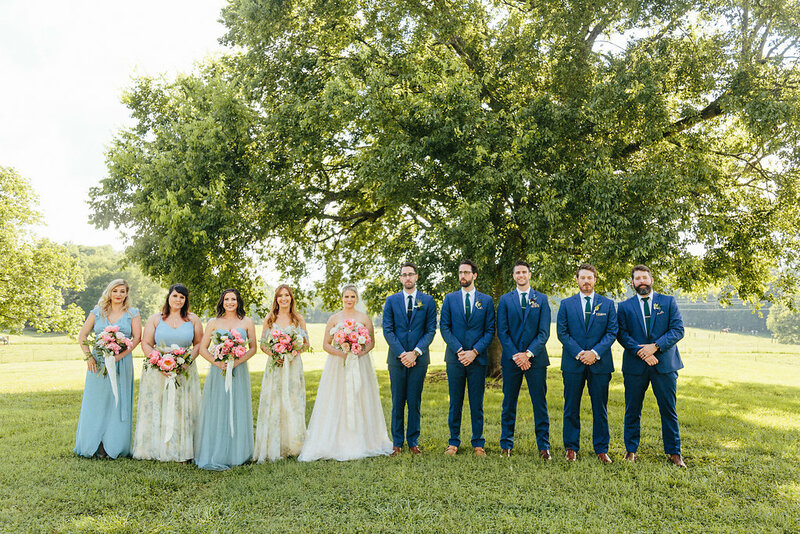 Lauren and Eric’s families were so sweet! 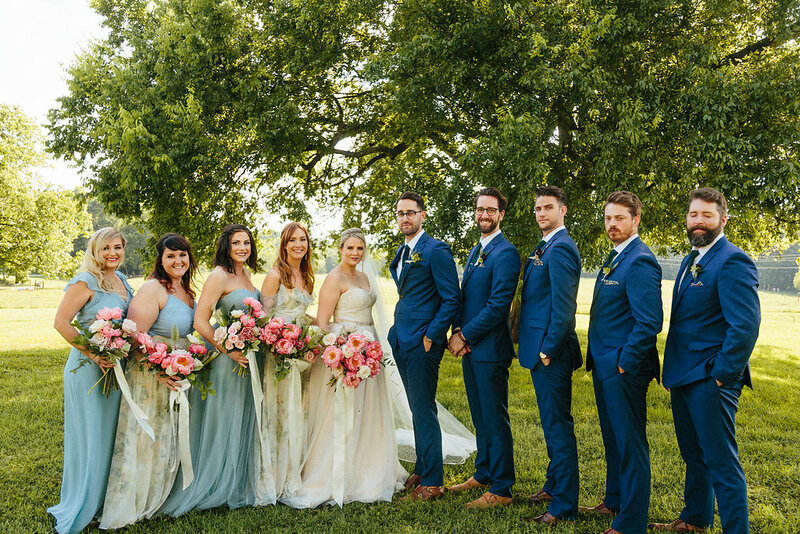 A lot of Lauren’s family came to the US from Scotland for the wedding and stayed for a while after as tourists. 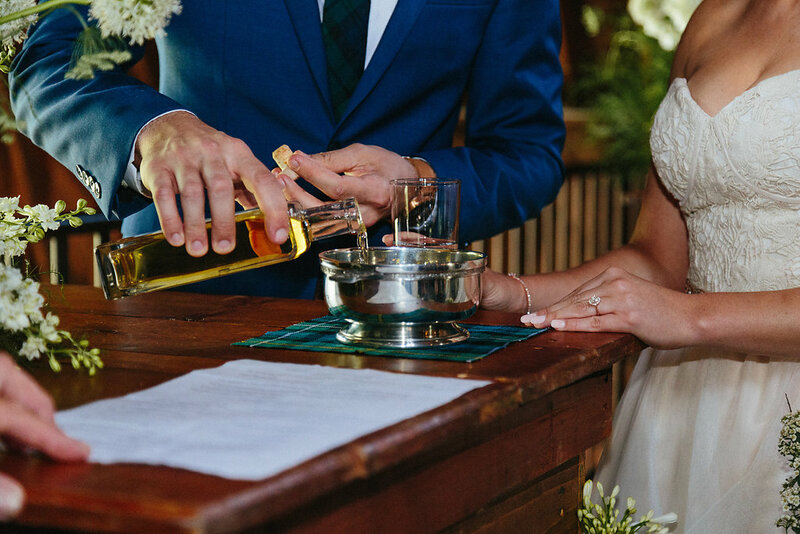 Lauren and Eric decided to do a quaich ceremony during their ceremony. 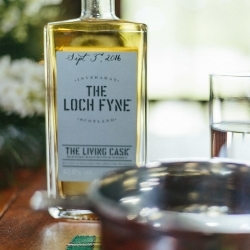 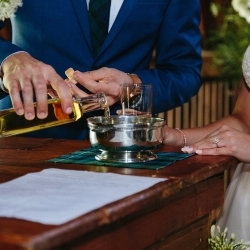 The quaich portion of the ceremony is when you sip whiskey together from a two-handled cup. 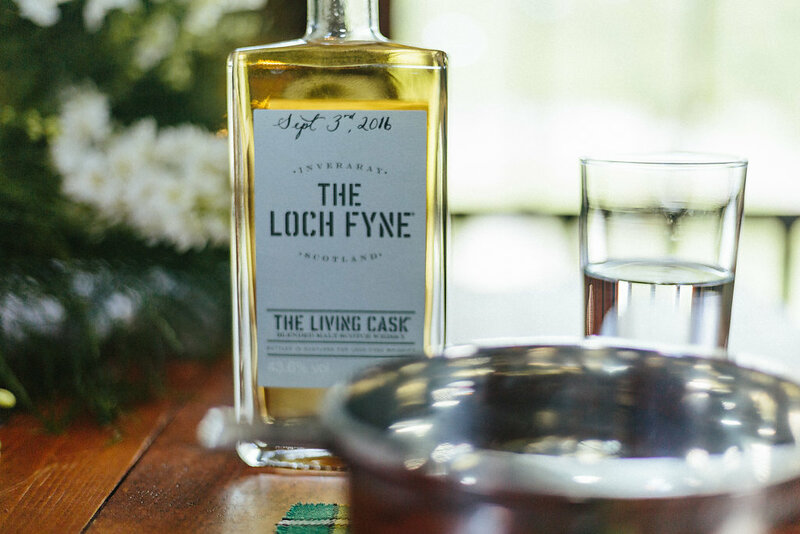 They used the whiskey they received as a gift from her brother right after they were engaged in Scotland. 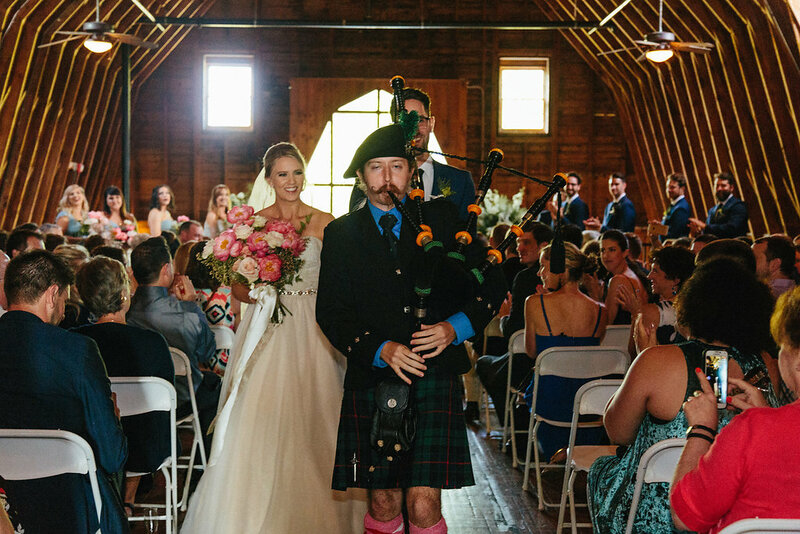 I loved learning about this because I have a Scottish heritage myself! 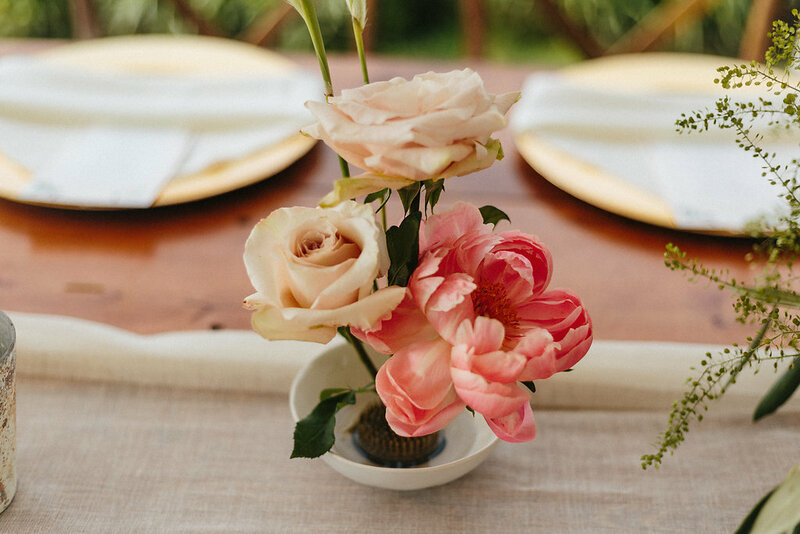 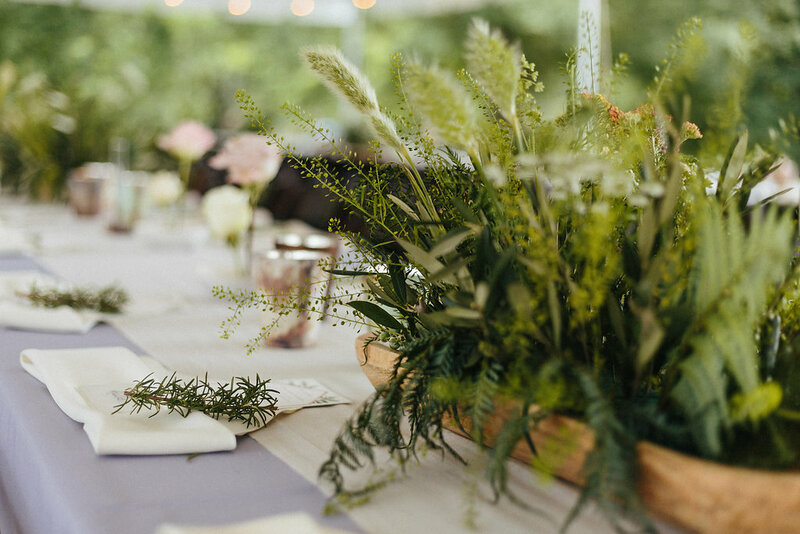 Lauren decided on a very organic and natural look to her wedding and used bread bowls as centerpieces and compotes throughout. 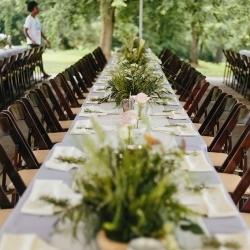 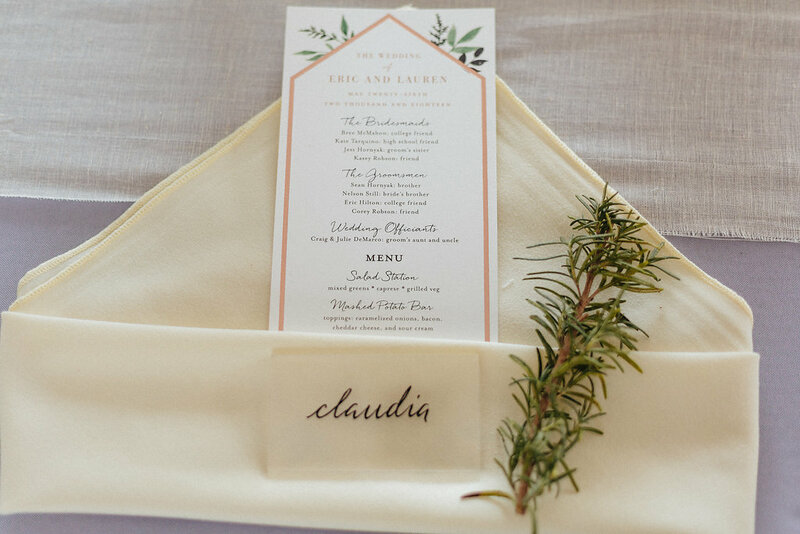 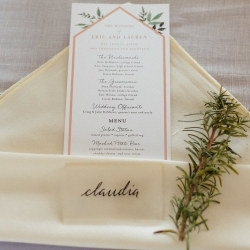 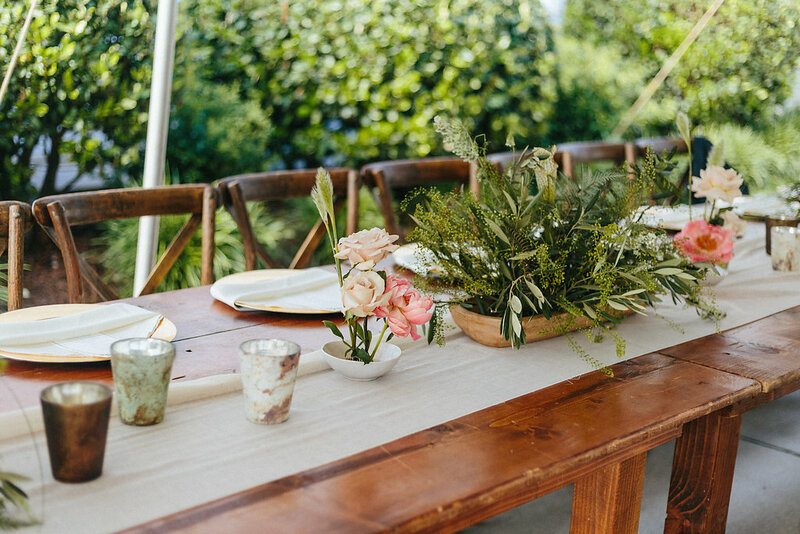 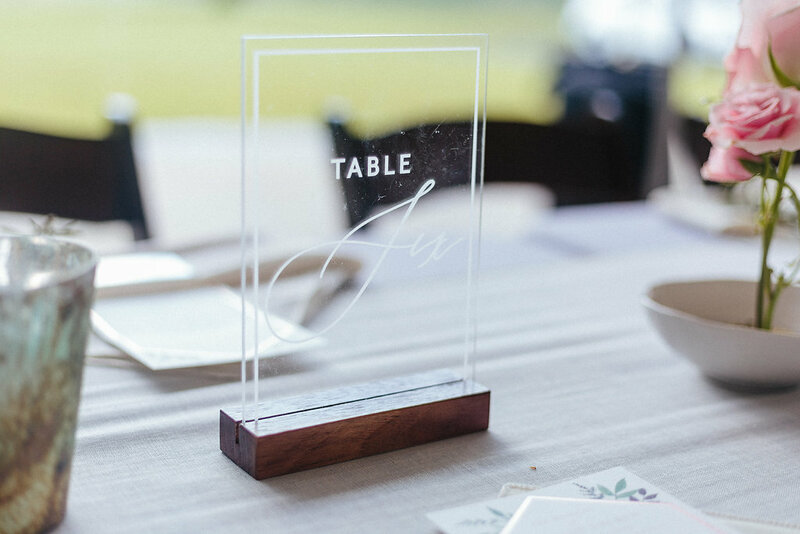 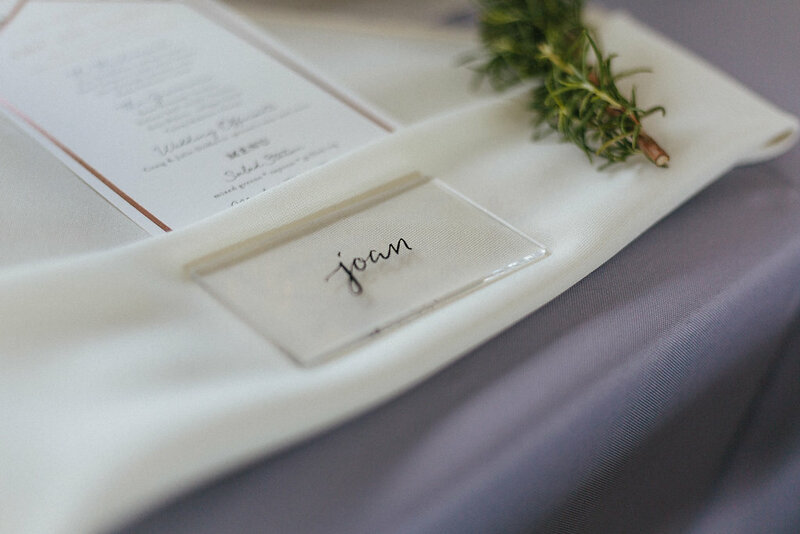 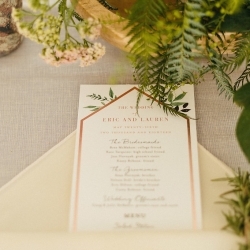 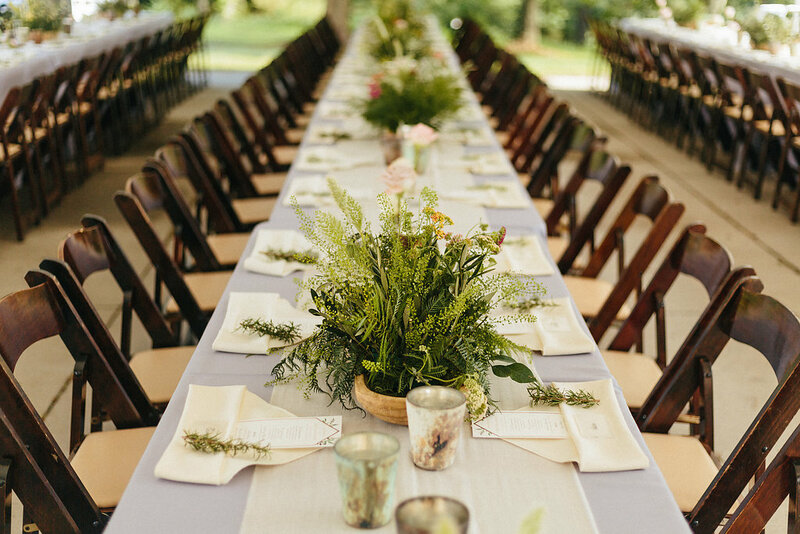 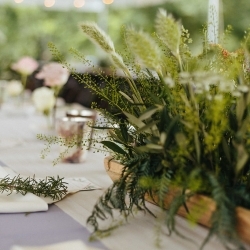 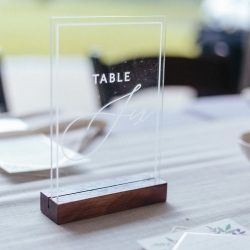 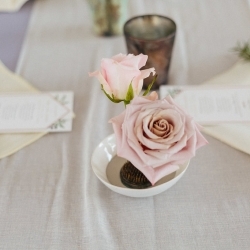 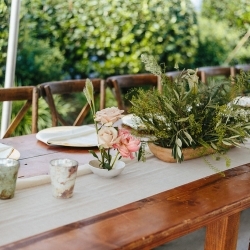 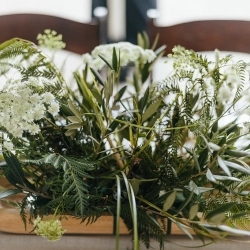 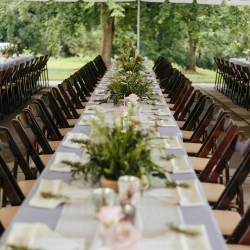 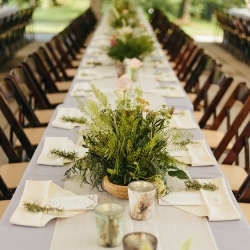 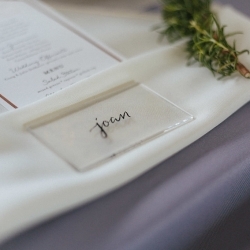 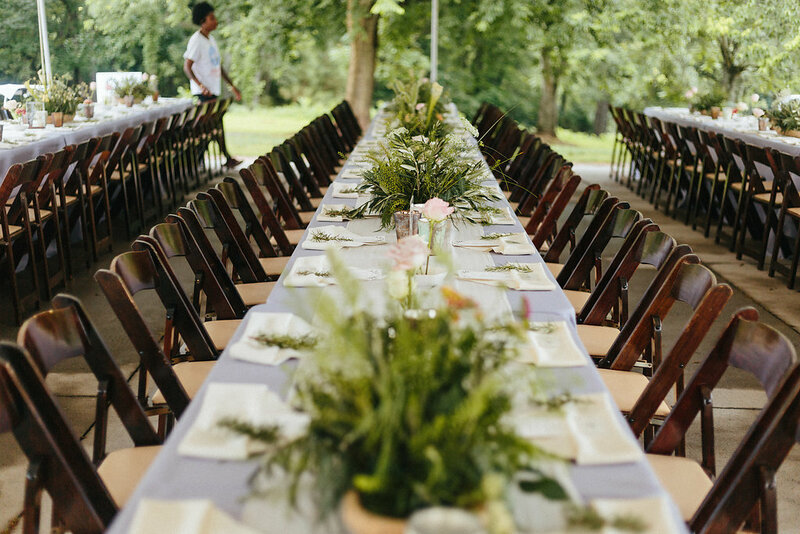 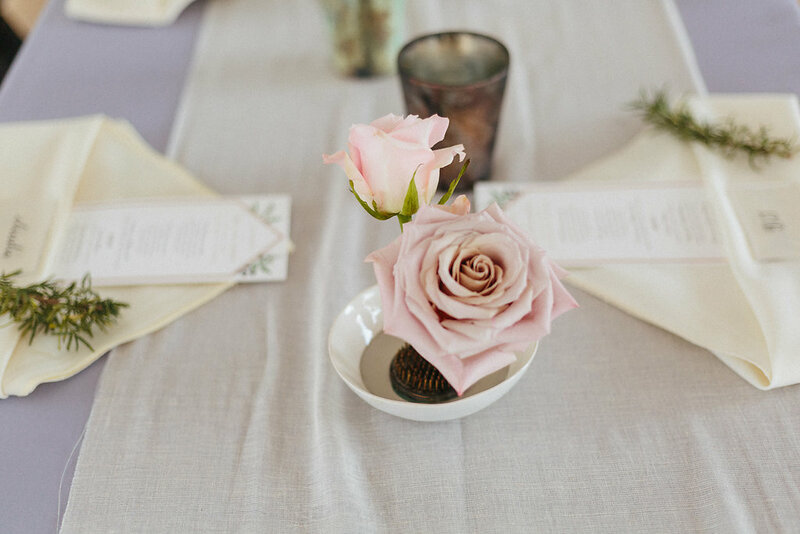 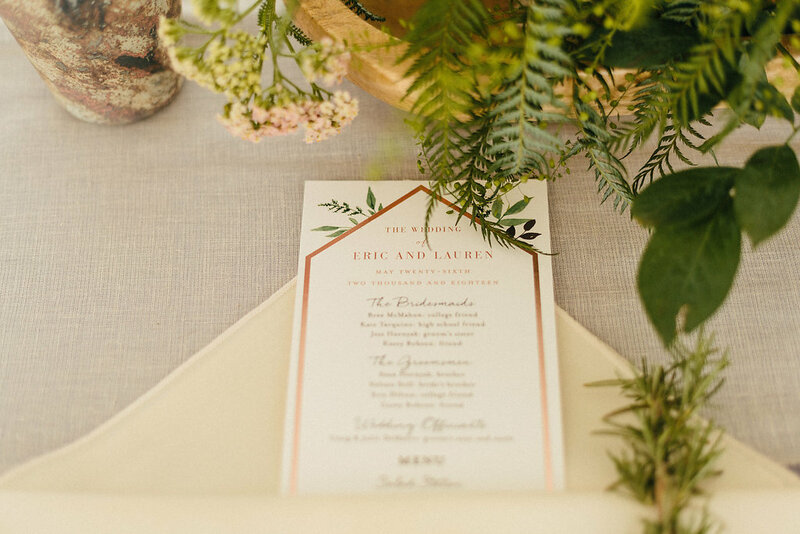 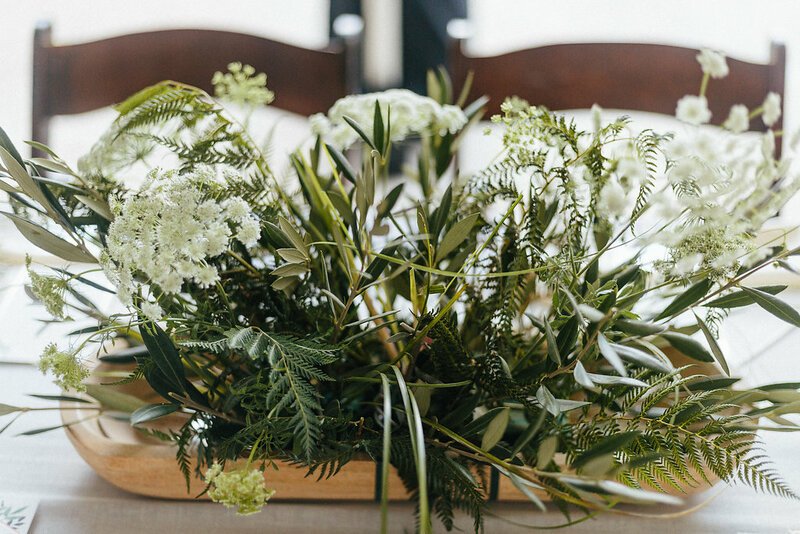 We added a sprig of rosemary to each place setting and the end result was stunning! 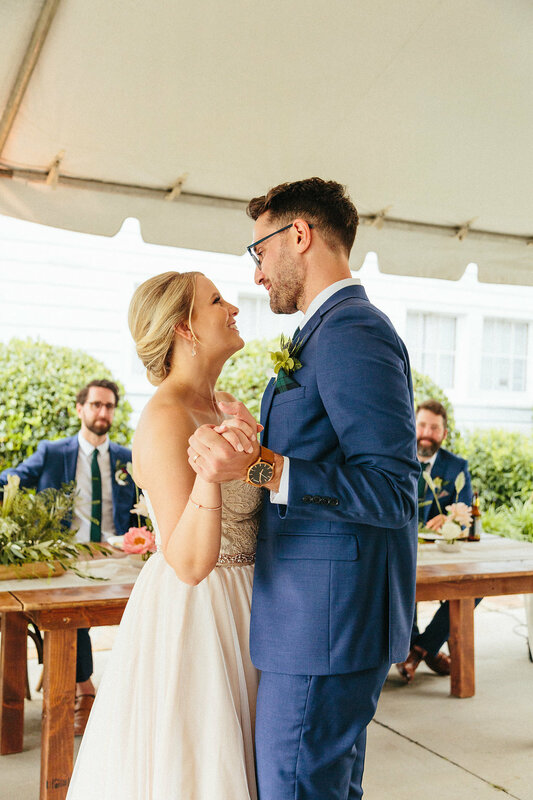 Mike kept everyone on the dance floor and in a signature Lauren-style (according to her toasts from her family), she did get up on the table and dance. 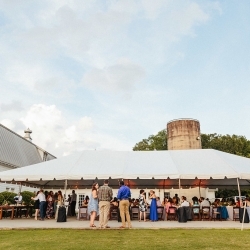 The downpour of rain didn’t stop anyone from having a blast all night outside under the tent. 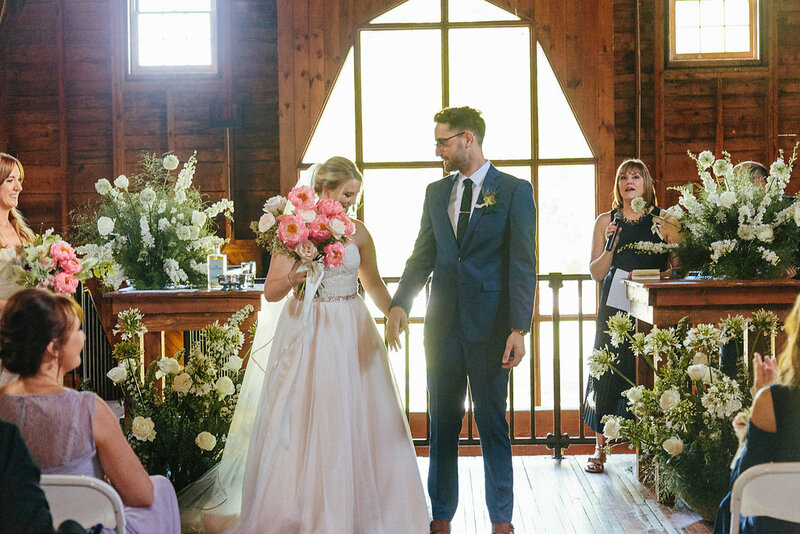 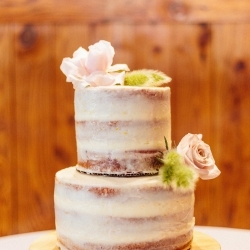 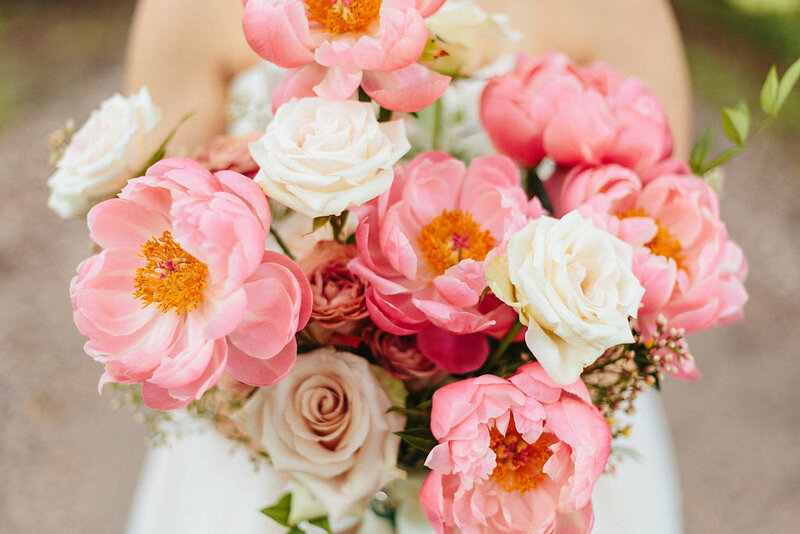 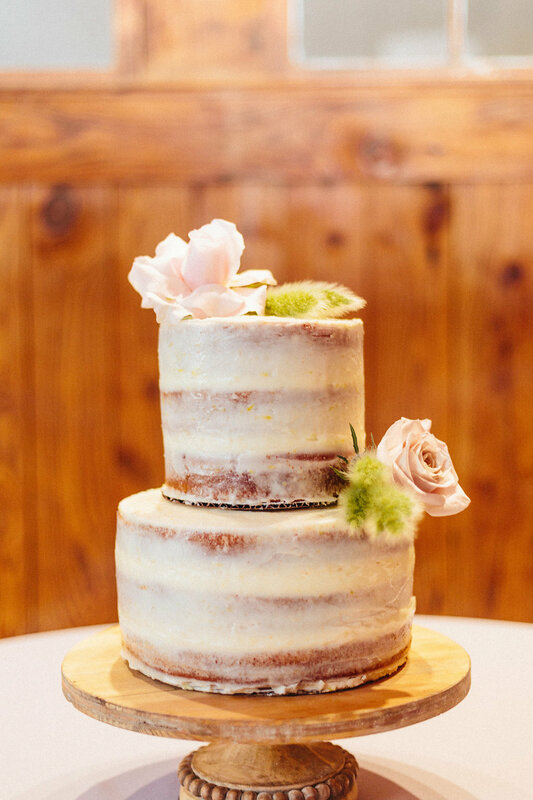 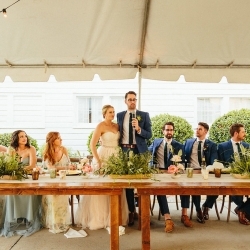 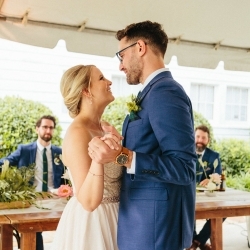 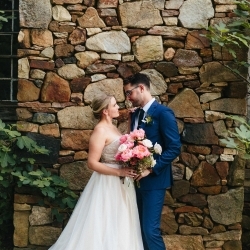 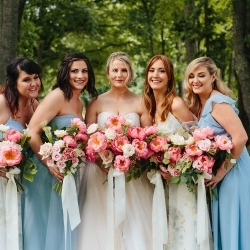 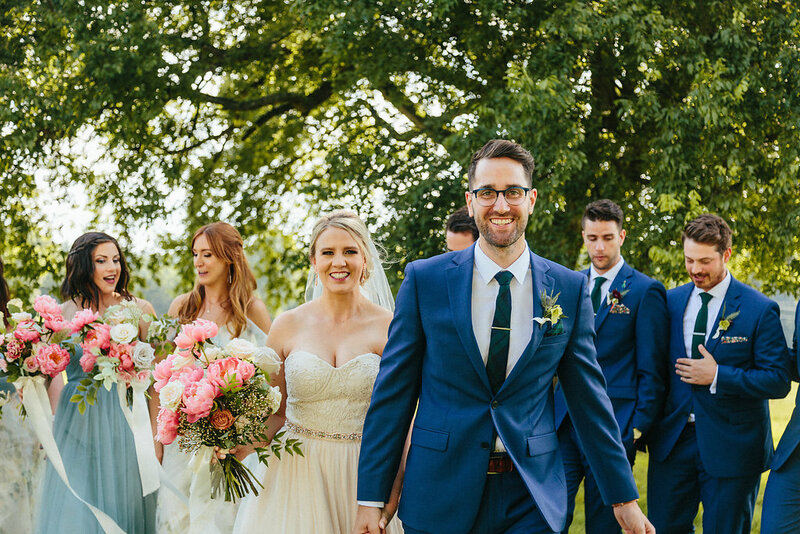 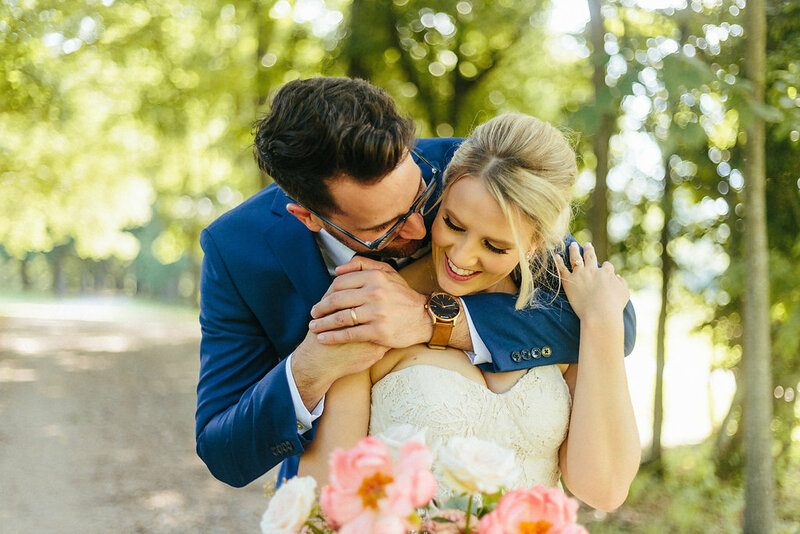 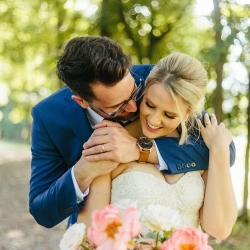 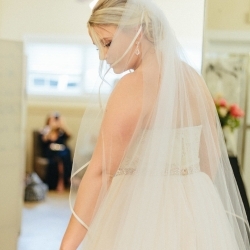 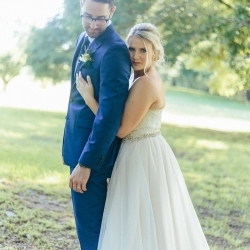 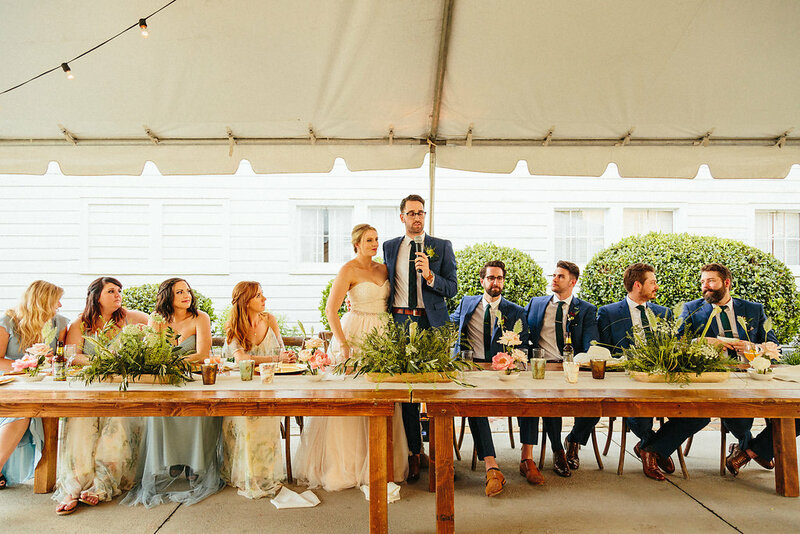 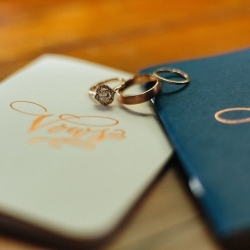 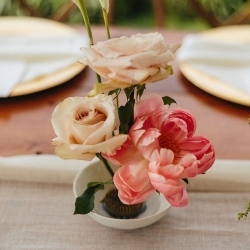 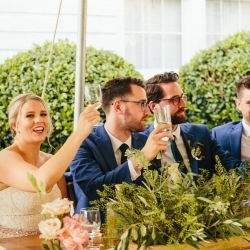 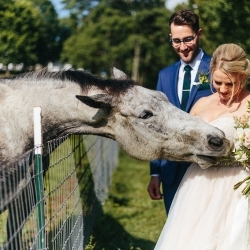 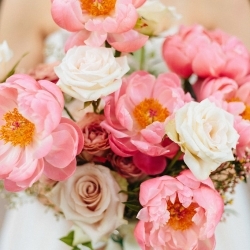 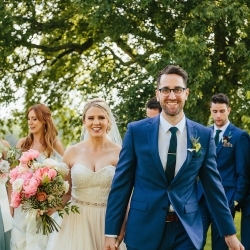 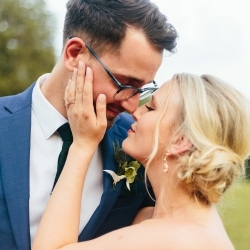 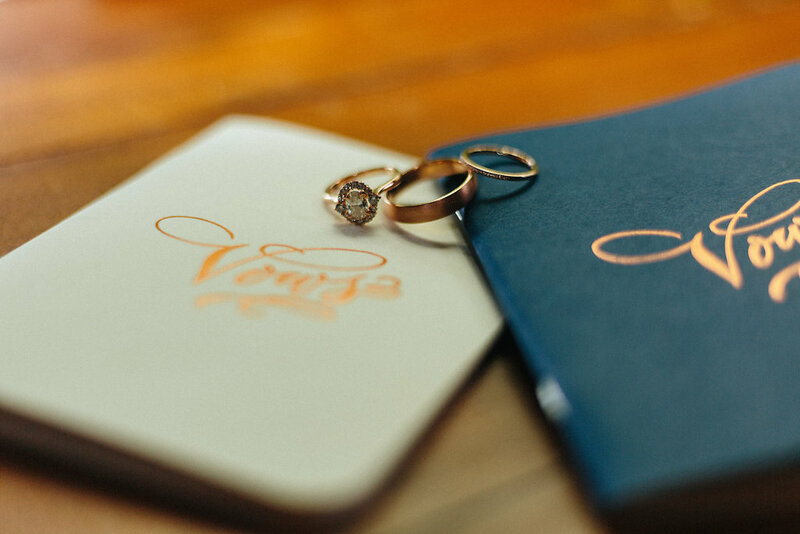 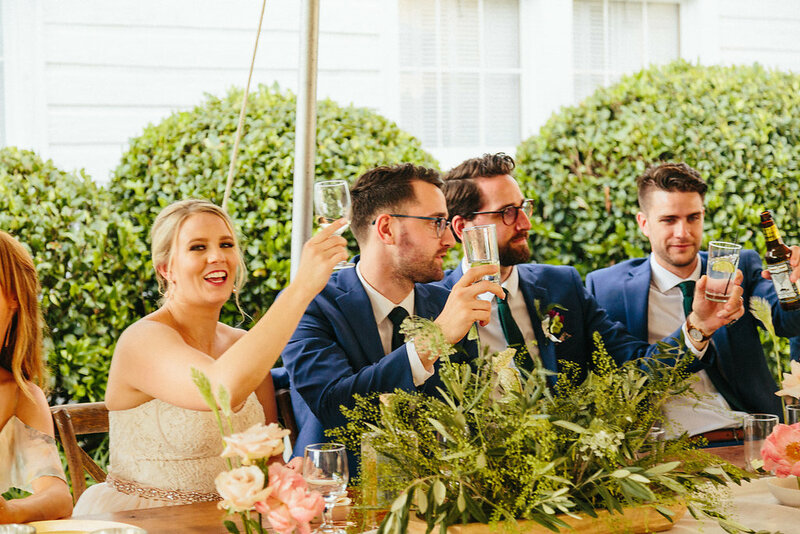 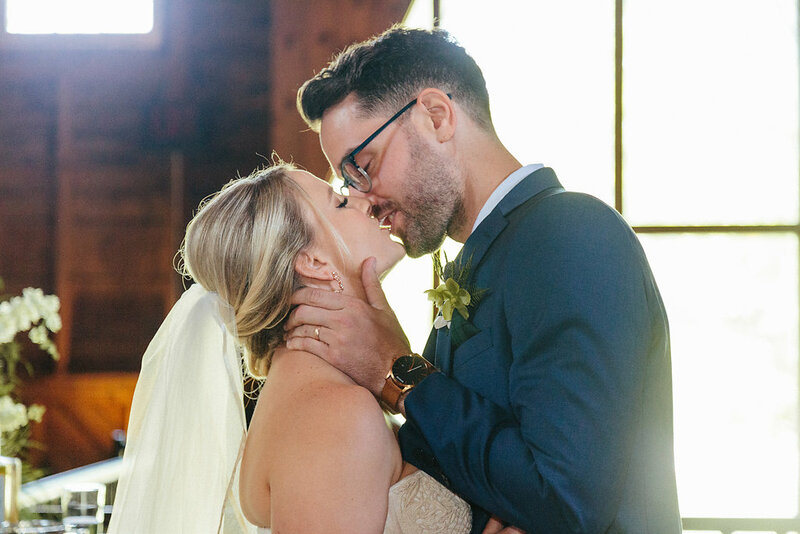 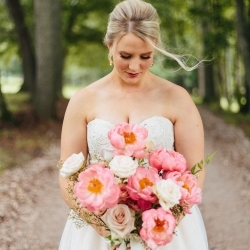 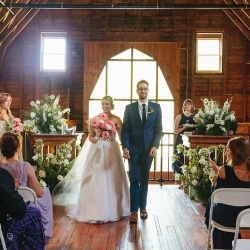 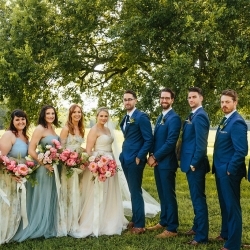 I think this wedding was everything Lauren and Eric dreamed of! 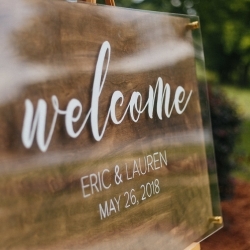 Lauren and Eric, I wish you all the best and lots of fun in your future!